When you find yourself putting on the green 30 plus feet away from the hole, your goal is to try and get the ball down in two putts. To eliminate three putting, lag putting with proper technique is so important. Here’s how to get better! First, evaluate the speed of the greens, you do that by standing behind the ball and evaluating where the low/high spots are on the putt, then walk to those points to determine fast or slow parts of your indented line. The most important part of the putt is 5 feet or less from the hole, this is when the ball slows down the most and takes in more slope, so evaluating this part of the putt is a premium. So get your read correctly, that helps you determine speed. Using the proper Lag Putting technique can be the difference between par and birdie. 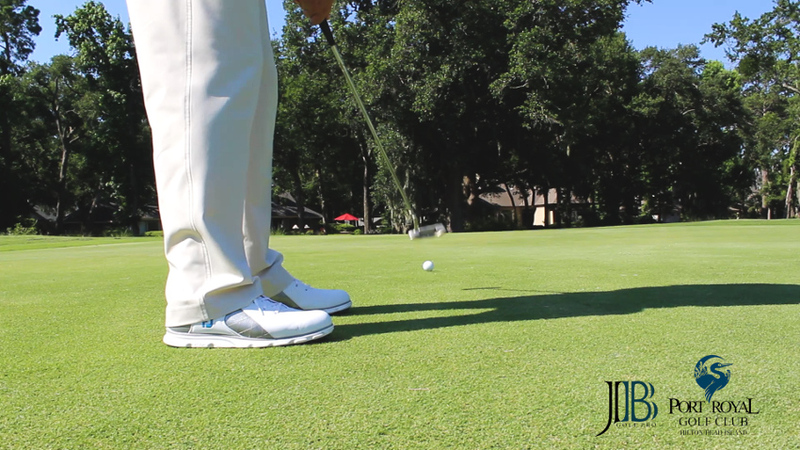 Second, in order to be successful at lag putting, you must hit the putt solid consistently. So be athletic! 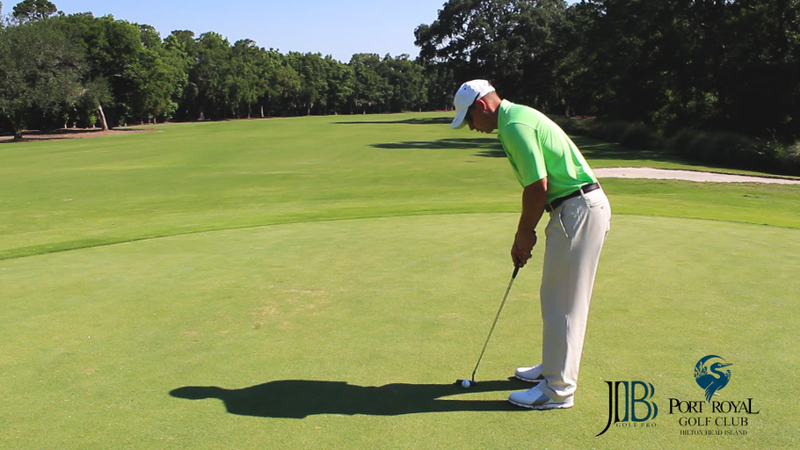 You should feel loose over the putt with soft arms and hands maintaining constant motion to the clubhead. The more rigid you get with your stance and posture the less likely it is to get the right feel for speed control. Remember to feel a little taller at address to help you see the line better. Feel the clubhead in your hands, get a good view, feel the weight of the club, and let the putter swing. Take some practice strokes feeling the weight of the clubhead and the pace you need to move the clubhead in order get the right speed of the putt. Feel the natural release of the clubhead. Feel a little taller at address to help you see the line better. Don’t block the clubhead steering it to the hole! You should feel a stroke that is a natural swinging of the putter face with the toe of the club releasing. Have some action in your right hand and feel the weight. If you were to just push the grip end it’s tough to feel the weight of the club. Try some right hand only practice swings just to get the feel of the putter, free it up, and lower your expectations. Next time you’re on the putting green 30 feet from the hole remember to free things up, be a little more athletic with your stroke, and get it down in two!